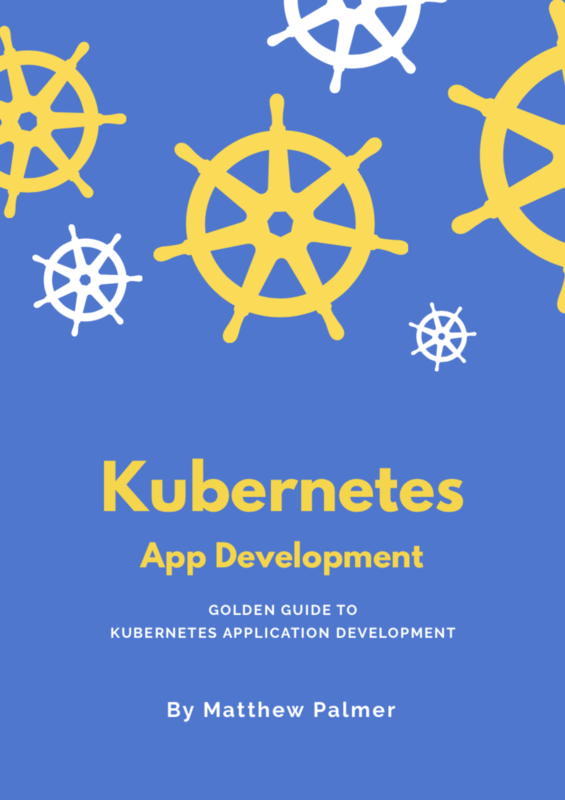 This post gives you five free practice questions for the CNCF Certified Kubernetes Application Developer (CKAD) exam. These are excerpted from the upgraded package of my book for web application developers getting their Kubernetes certification. While not actual questions from the exam, these questions are of a similar style and content to questions from the real exam. This premium exam contains more realistic, more challenging questions and solutions that will test your ability to work in an existing Kubernetes cluster under time constraints. Create a namespace called ggckad-s0 in your cluster. Run the following pods in this namespace. Write down the output of kubectl get pods for the ggckad-s0 namespace. All operations in this question should be performed in the ggckad-s2 namespace. Run a pod called question-two-pod with a single container running the kubegoldenguide/alpine-spin:1.0.0 image, and expose these configuration settings as environment variables inside the container. All operations in this question should be performed in the ggckad-s2 namespace. Create a pod that has two containers. Both containers should run the kubegoldenguide/alpine-spin:1.0.0 image. The first container should run as user ID 1000, and the second container with user ID 2000. Both containers should use file system group ID 3000. All operations in this question should be performed in the ggckad-s4 namespace. This question will require you to create a pod that runs the image kubegoldenguide/question-thirteen. This image is in the main Docker repository at hub.docker.com. This image is a web server that has a health endpoint served at '/health' that returns a 200 status code response when the application is healthy. The application typically takes sixty seconds to start. Create a pod called question-four-pod to run this application, making sure to define liveness and readiness probes that use this health endpoint. All operations in this question should be performed in the ggckad-s5 namespace. Create a file called question-5.yaml that declares a deployment in the ggckad-s5 namespace, with six replicas running the nginx:1.7.9 image. Each pod should have the label app=revproxy. The deployment should have the label client=user. Configure the deployment so that when the deployment is updated, the existing pods are killed off before new pods are created to replace them. Get the premium course to receive all 30 CKAD practice exam questions plus complete solutions!